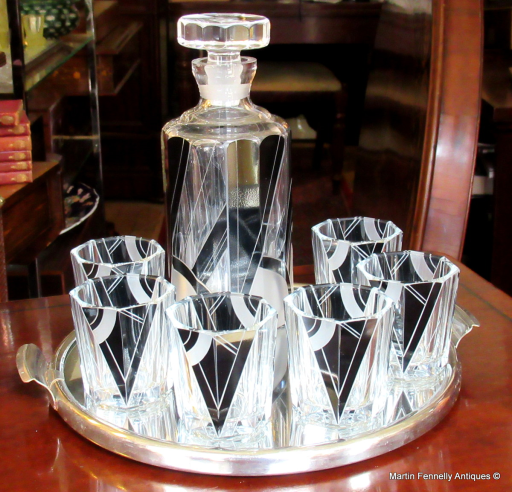 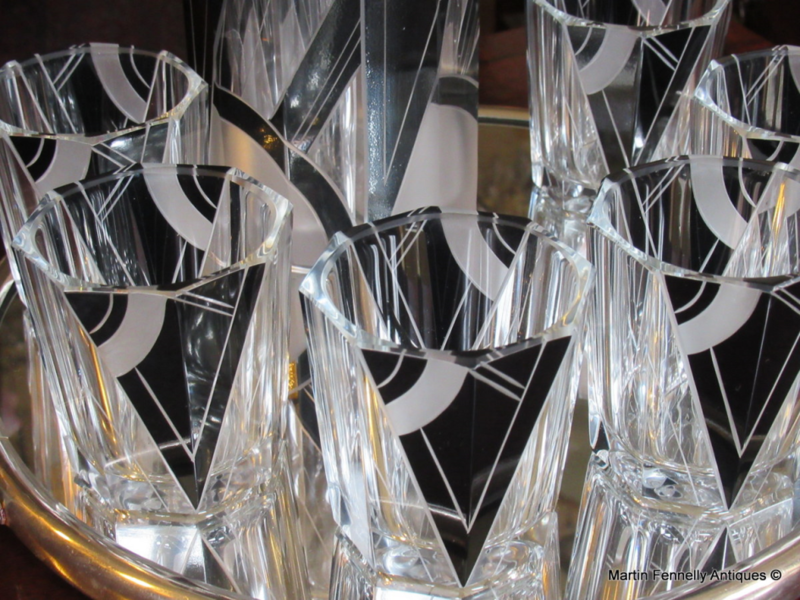 Stunning and rare Whiskey Art Deco Decanter Set with Tray manufactured during the 30s in the Bohemia by Karl Palda. 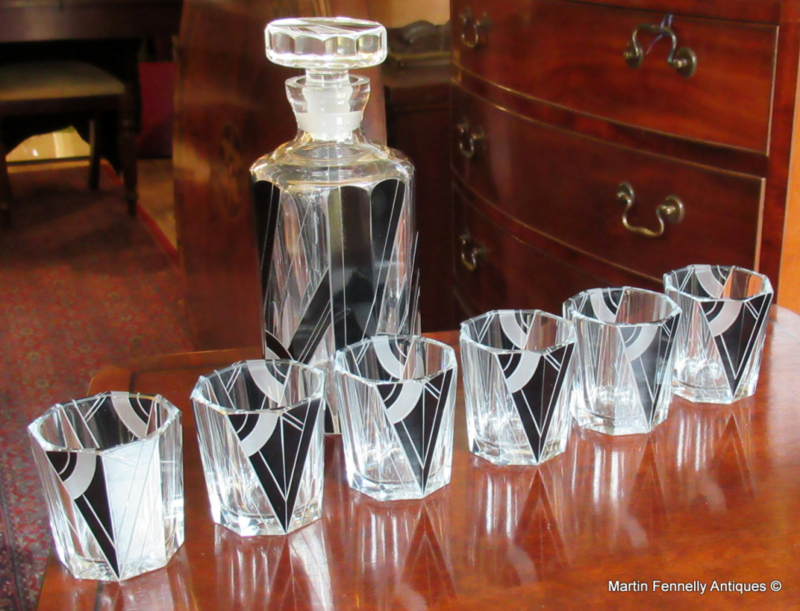 A stunning example of elegant and extremely delicate glass craftmanship for which the Palda glass manufacture was famous for. 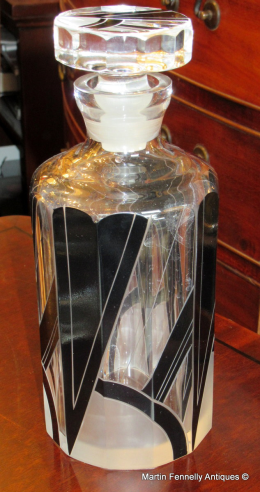 It is made of hand blown etched crystal. Typical for this range of glass products is the combination of clear Crystal and Black Enamel glass in which art deco patterns. 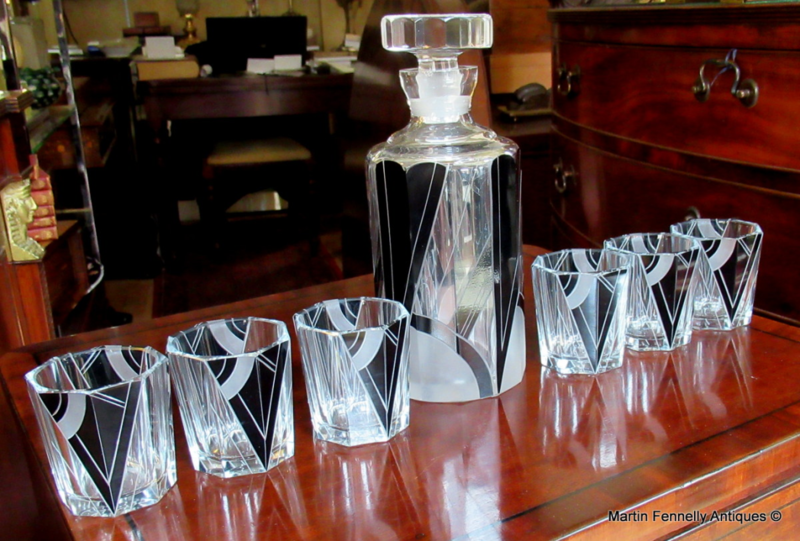 The complexity of the glass geometry, using many pattern and style and mixing them to make every piece a unique chef d oeuvre of modernist avant garde design. 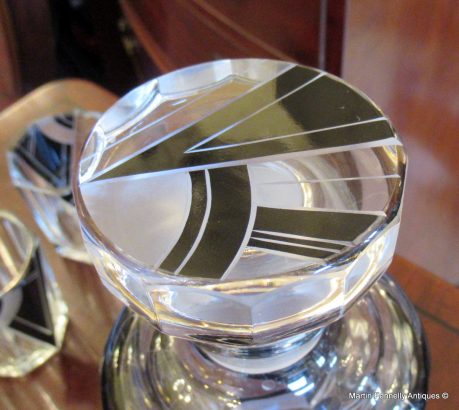 Complete with Period mirror Tray and Silverplate rim. The Whiskey Sets are rare and this one would make a stunning gift for The Whiskey drinker in your life.